You are here: Home / Blog / From Hola to Namaste! Its been a while since we’ve conversed through these writings. And probably, this is the first time that we are sharing a cooking experience through this column. Hosting guests from across the world, exchange of cultures has always been the essence of Tastesutra. Bonding over cooking is an emotion which exemplifies itself through special experiences. 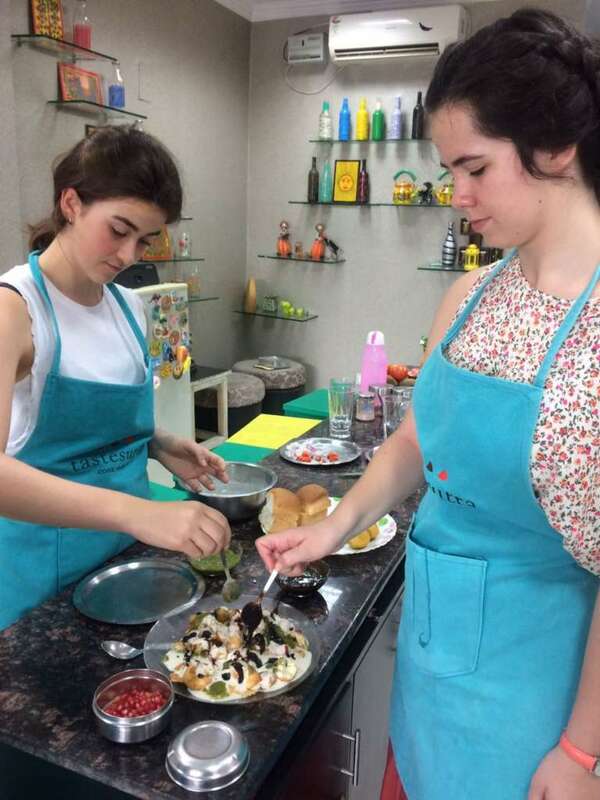 Our 12 day cooking experience with with Maria & Irene is certainly one of them. 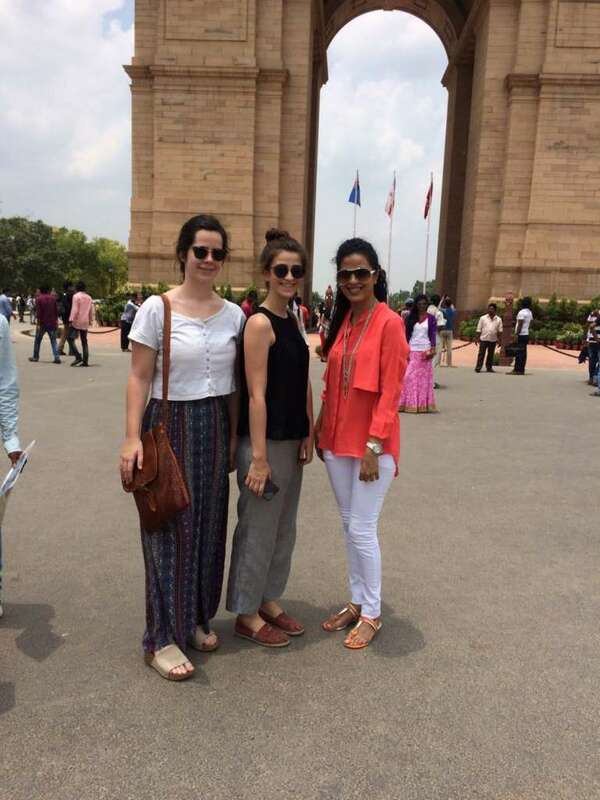 Visiting India from Spain, Maria & Irene set a new benchmark for our journey at Tastesutra. Credits to their excitement & warmth, we spent a really good time over a period of 12 days. 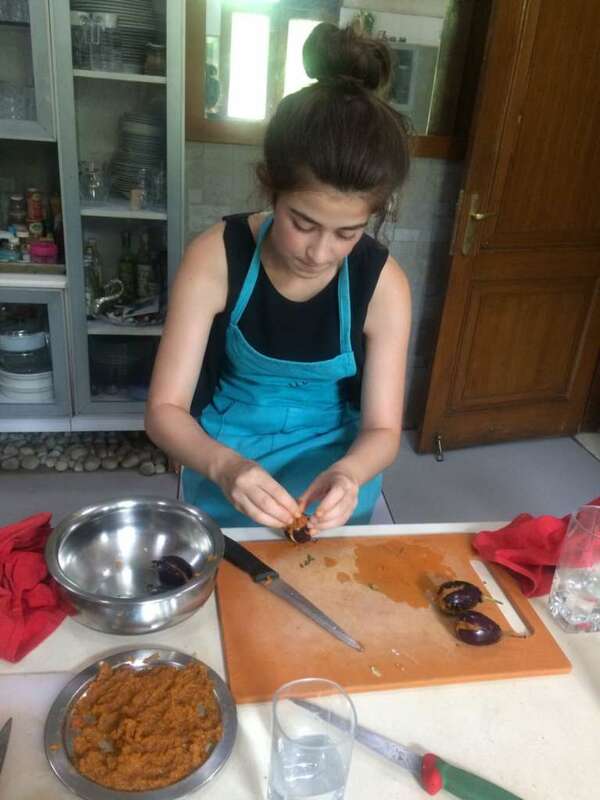 We cooked at our cooking studio in Delhi, while moved around the city, learning the culture of Indian Food & History. Beginning with the basics, we launched into the local market for an introduction to spices, dairy, grains & vegetables used in Indian cooking. The tour included wholesale sabzi mandi (vegetable market), butcher shop, pickle shop and learning the art and culture of buying fresh ingredients used in our cooking. This was accompanied by a local thali concept meal. On a fresh morning, this was dedicated to the most important meal of the day – Breakfast! We made a variety of savoury dishes keeping in mind the balance between health and flavour. Well, there’s nothing like being on the streets and tasting the amazing Delhi Street Food – with a perfect blend of multiple tastes. Be it salty, sweet, spicy & sour – we’ve got it all covered, that too in our kitchen! We prepared Indian Chaat & Gol Gappas and the result was delicious! And here it came, preparing a full-fledged Five Course Northern Indian Cuisine. This involved preparing a whole meal followed by a sit down lunch. So we put all that we learnt to execution, letting your taste buds judge the magic of hands on Indian Cooking Methods! Day 5 – Some South too! When North is done, why not South? 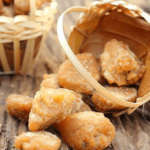 Flavours of South India had dishes from the southern region of our country. 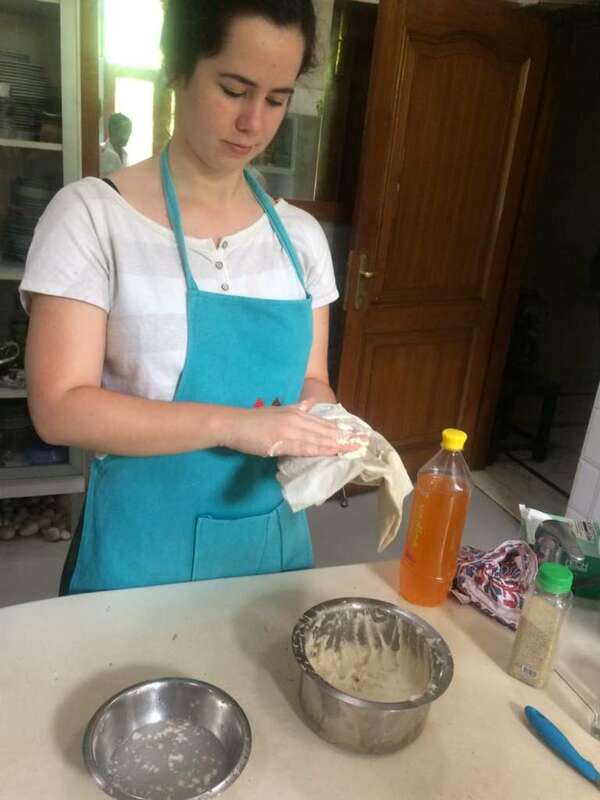 It was all done at our Cooking Studio itself, where Maria & Irene prepared South Indian delicacies to cherish the same later on. Sattva – It means one that is pure, natural, vital, energetic, clean, conscious, strong, true, honest and wise. Digging deeper into the Ancient Indian Food Culture, we took this opportunity to learn Satvik Eating & Cooking – preparing an all vegetarian meal without meats, eggs, onion and garlic which are considered Tamsik in nature. Welcome to Old Delhi! – After getting a good insight of Indian Food varieties & preparations, we took to the streets to visit Asia’s biggest spice market. This included food trails in the lanes of Old Delhi where every nick and corner has a story to tell. These have aged over time and witnessed centuries of spices & their trading. 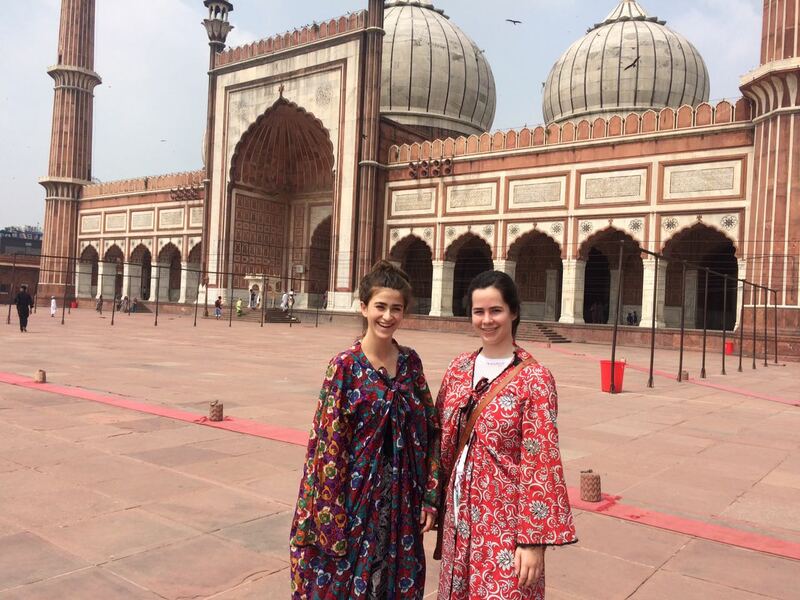 When in India, why miss the Rajasthani Royalty? We took the ‘shaahi’ route & did some Rajasthani food cooking- Making the royal cuisine from princely state of Rajasthan in which the food is cooked in pure ghee for its mouth-watering aroma. Considering the variety of foods across our nation, it would have been unfair not to go far east – through our taste buds ofcourse. 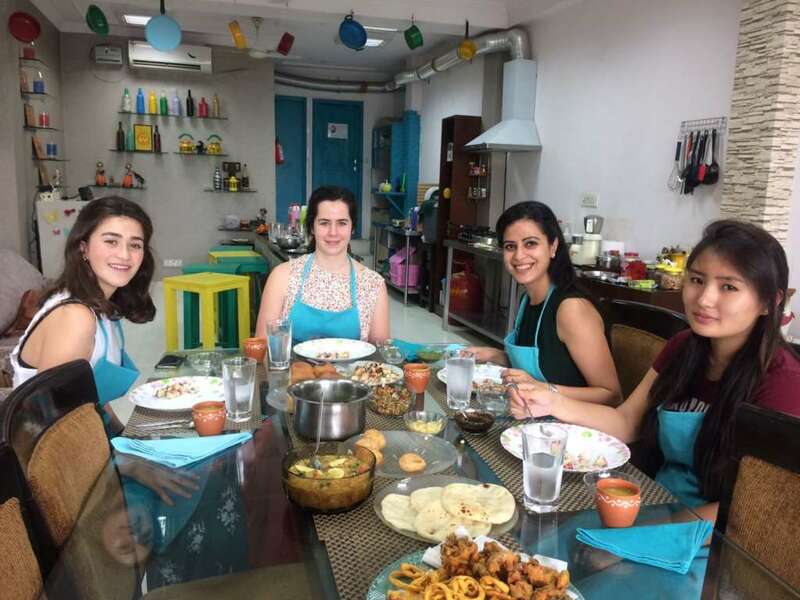 9th day of their visit was involved with East Indian cuisine – cooking a range of delectable dishes from Bengal, Assam and other states from that part of the country. After doing a variety of main courses during the previous days, this was sightseeing from a foodie perspective. 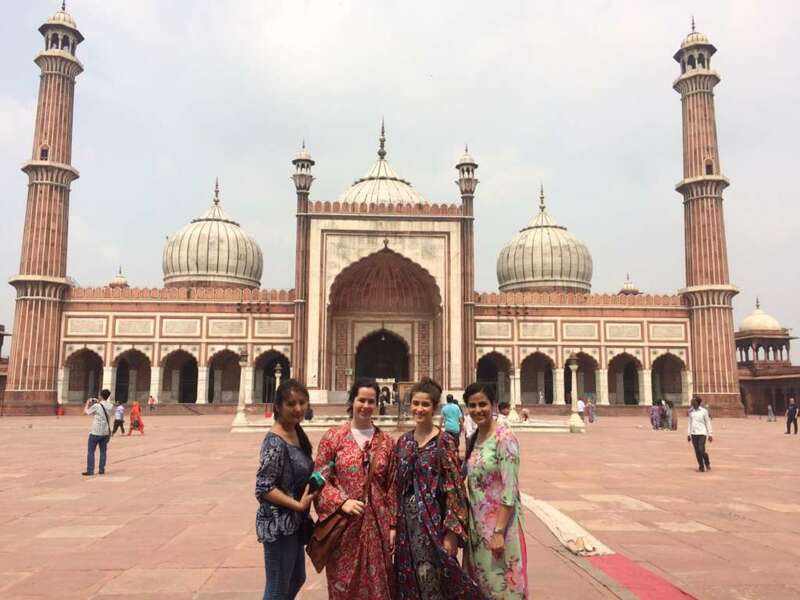 We explored the cultural sites of Delhi like India Gate, Jama Masjid & Bangla Sahib Gurudwara and witnessed their communal kitchen where they prepare meals for around 10,000 people everyday. Day 11 – Let’s make it sweet! No meal is complete without a sweet ending to it. 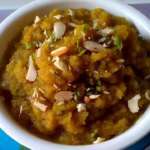 On this day, we prepared a variety of Indian desserts, which are mostly milk & grain-based as compared to the baked desserts in other cultures. After an amazing journey of 11 days, there had to be some cooking party too! 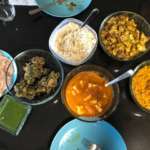 We did Indian Barbeque – Learning the art of Indian marinations for Tandoori recipes and Dum style biryani. 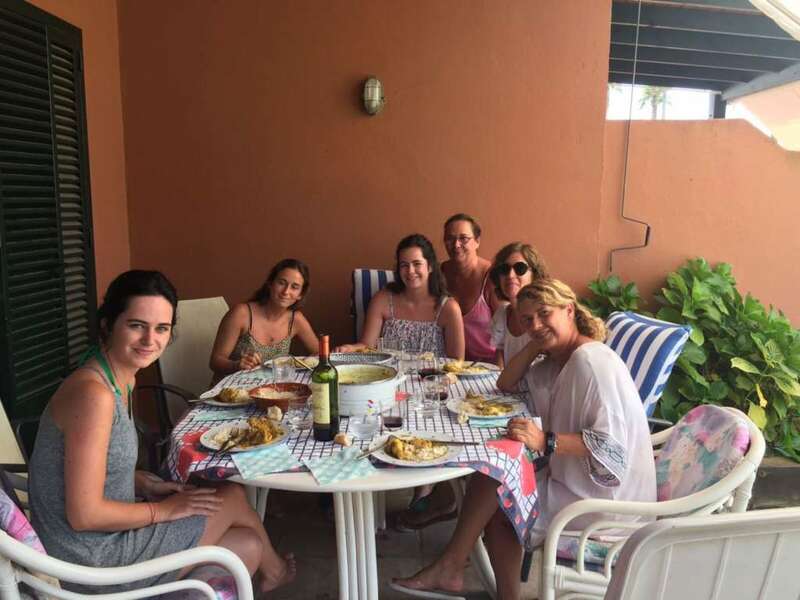 Making sure our guests don’t feel homesick, we did some Spanish Cooking too :P.
The journey which began in India, continued itself after Maria & Irene returned to Spain. 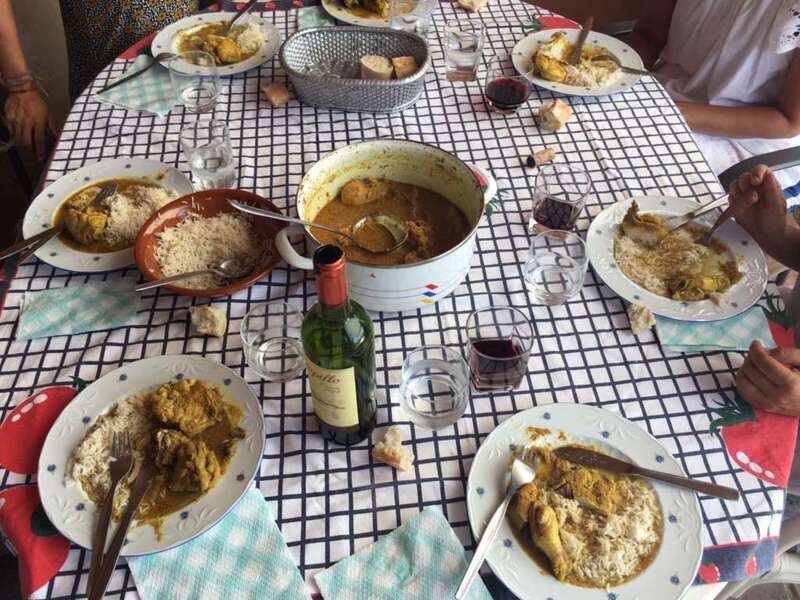 They home-cooked a delicious chicken curry for their family. Hence, the food culture traveled beyond boundaries, and these bonds are there to remain, forever.